Dr Gabrielle Walker looks deep within the ice crystal to try to discover how something so ephemeral has the power to sculpt landscapes, preserve the past and inform the future. 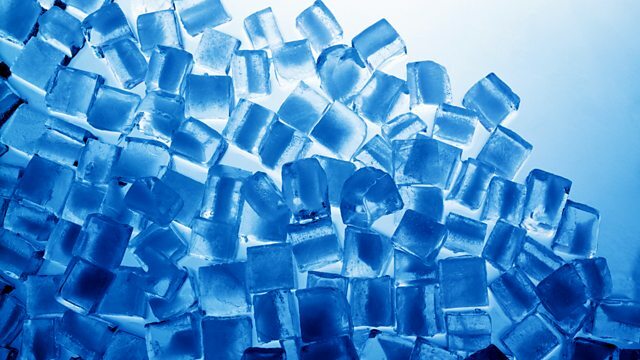 Ice is one of the strangest, most beguiling and mesmerising substances in the world. Full of contradictions, it is transparent, yet it can glow with colour, it is powerful enough to shatter rock, but it can melt in the blink of an eye. It takes many shapes, from the fleeting beauty of a snowflake to the multimillion-tonne vastness of a glacier and the eeriness of the ice fountains of far-flung moons. Science writer Dr Gabrielle Walker has been obsessed with ice ever since she first set foot on Arctic sea ice. In this programme, she searches out some of the secrets hidden deep within the ice crystal to try to discover how something so ephemeral has the power to sculpt landscapes, to preserve our past and inform our future. Abseiling into the heart of a glacier.